The Origin of Clouds derives from an experiment to study the formation of clouds that appeared within the larger context of weather phenomena research at the end of the nineteenth century. 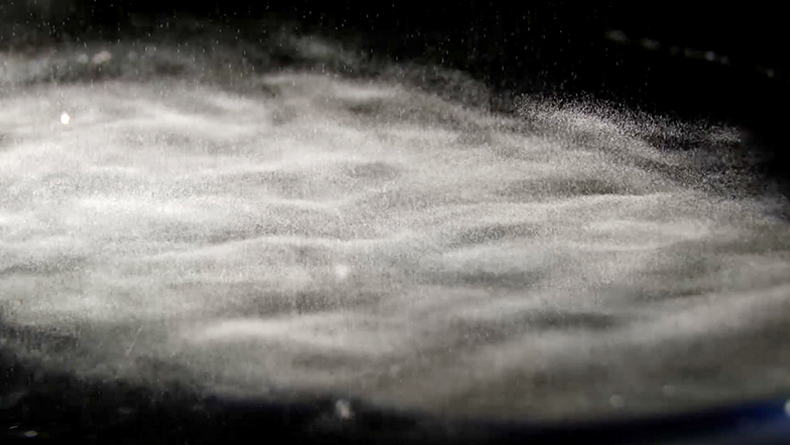 The Cloud Chamber or Camera Nebulosa was originally built to create artificial clouds in the laboratory and investigate their emergence in the atmosphere. The experiment failed in explaining this phenomenon and was never able to provide a better understanding of clouds, storms or lighting. However, the Camera Nebulosa made an unexpected discovery by enabling the visualization of fundamental particles for the first time. This so-called “failed experiment” became the visual proof of the existence of the sub atomic world and had a profound influence on the research within the field of atomic energy. 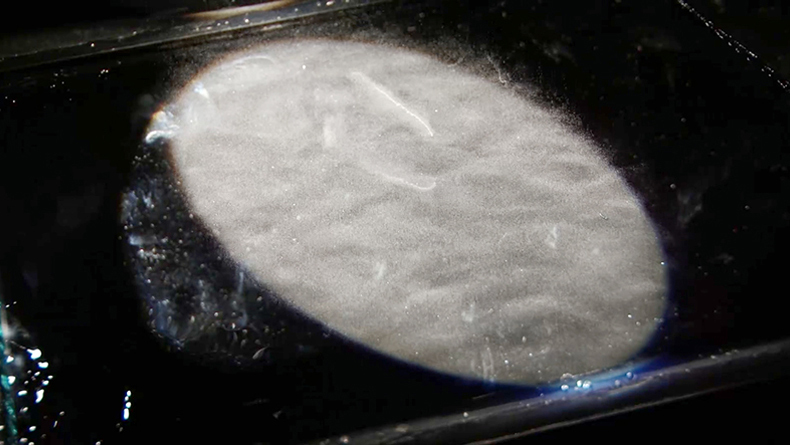 The experiment recreated in The Origin of Clouds uses saturated fumes of isopropyl alcohol that lied over a frozen plate inside a sealed glass chamber. 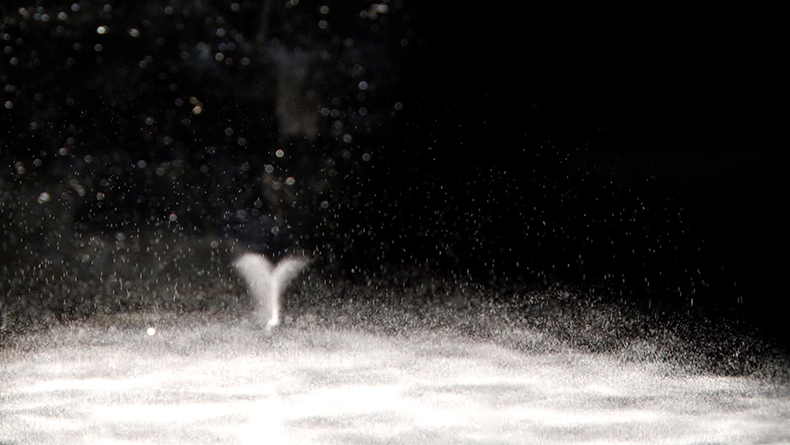 The alcohol forms a thing layer over the cooled surface, and with the help of a strong source of light, different elemental particles start to emerge. These particles – muons and electrons – are a consequence of Cosmic Rays originating in the sun and outside the solar system. The average speed of these particles is 299.400 km/s (close to the speed of light). The Origin of Clouds documents the process by which fundamental particles become form and materiality. The visual result is an ever-changing flux of ephemeral shapes with unpredictable occurrence that emphasizes the phenomenon’s organizational logic in space and time.